Teacher leaders can be powerful levers for school change. Yet in many districts, talented teachers must look outside the classroom to find positions that will allow them to grow and make a broader and deeper impact. 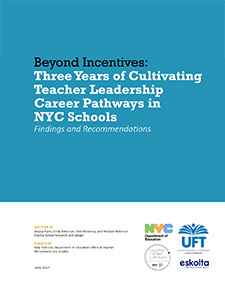 In 2013, the New York City Department of Education Office (NYCDOE), in partnership with the United Federation of Teachers (UFT), launched a new model of teacher leadership, designed to provide professional opportunities for experienced teachers to share their pedagogical skills beyond the classrooms. 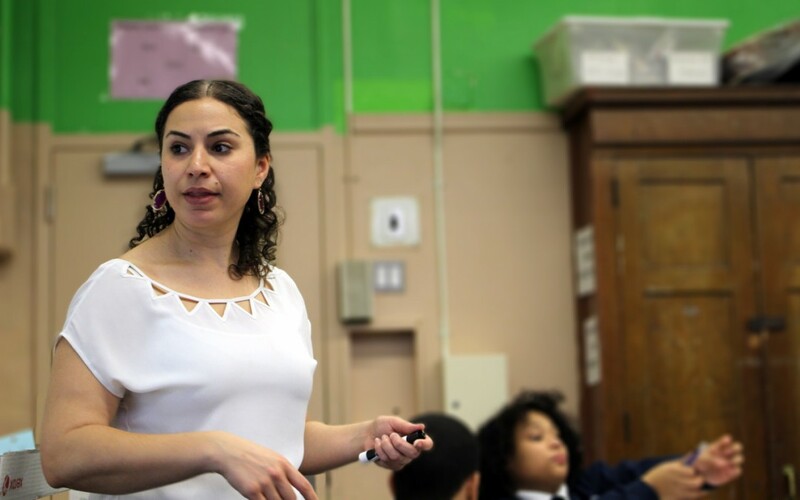 The work was supported by a five-year grant from the Teacher Incentive Fund (TIF), which initially piloted the program in 78 high-need middle schools. Over four years, Teacher Career Pathways developed three new roles in which experienced teachers share their pedagogical skills, coach colleagues, and build systems of collaborative learning in their schools. By 2016–17, there were 1,236 teacher leaders across 482 schools, many involved in several key citywide initiatives.